Main image caption what is wireless charging? Wireless charging allows an electrical device to be charged without the need for a cable. The idea is to render cords and cables irrelevant, providing a simple and functional solution for devices – especially those that endure heavy battery use. The most common application currently is charging mobile phones inside vehicles. It can only be used on compatible phones or those fitted with a specific phone case, though. For example, Audi offers a case with built-in wireless charging for the iPhone 6 and 6S; owners of the iPhone 8 and Plus, X, XR, XS and XS Max can enjoy their phones caseless alongside WiFi connectivity. This also frees up the USB port (where fitted) to connect a non-compatible phone or media device at the same time. 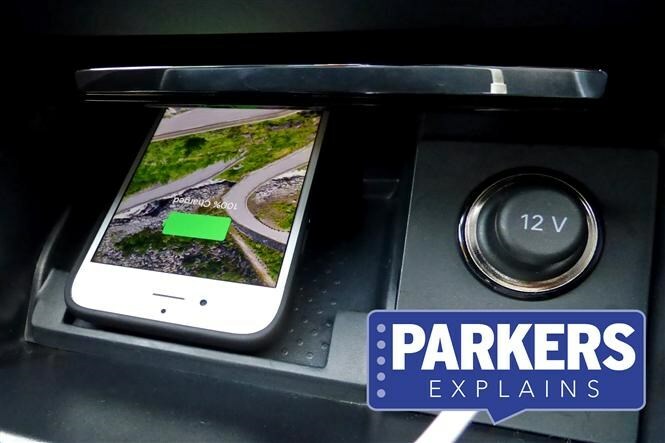 Charging can begin when the two components meet in close proximity to each other, meaning it can be activated by simply placing the device (such as the phone) on top of the fitted charging pad. This feature means that users can simply charge their device in the background and keep the battery topped up. This is especially useful when functions such as Bluetooth streaming from a phone can drain a discernible amount of battery life. If you see the name ‘Qi’ being mentioned, this is simply the name of the global standard that most smartphones adhere to for this technology. Various Audi, Skoda, Lexus, Jeep and Toyota models feature wireless charging. Although you have to specify it as an optional cost extra on most of these, fitment into other vehicles appears to be on the rise and will not be a feature limited to luxury cars either. 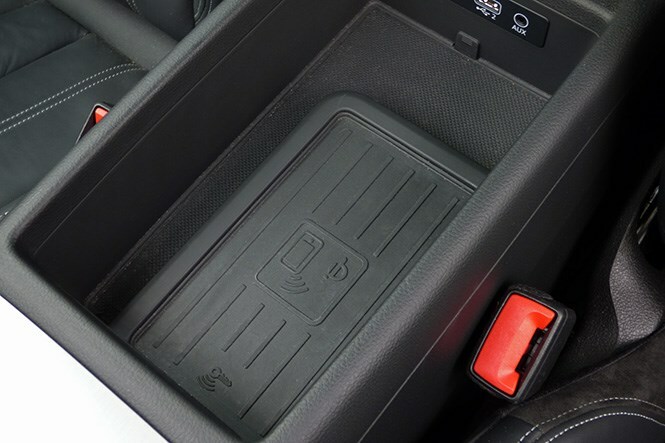 The charging pad is typically found with the USB and Aux-in connections either in the front centre armrest, at the base of the dashboard or along the centre console, so look out for the symbols (above) if you are curious with your own purchase. Wireless charging for electric cars? With electric cars on the increase, there is potential for the application of wireless charging to be used on a larger scale. By fitting a charging pad on the floor of a parking spot – whether at home in the garage or in a public car park building – parking an electric car above these designated spaces would allow for its batteries to be topped up wirelessly; minimising the notion of range anxiety more frequently and reducing the time spent dealing with charging cables.